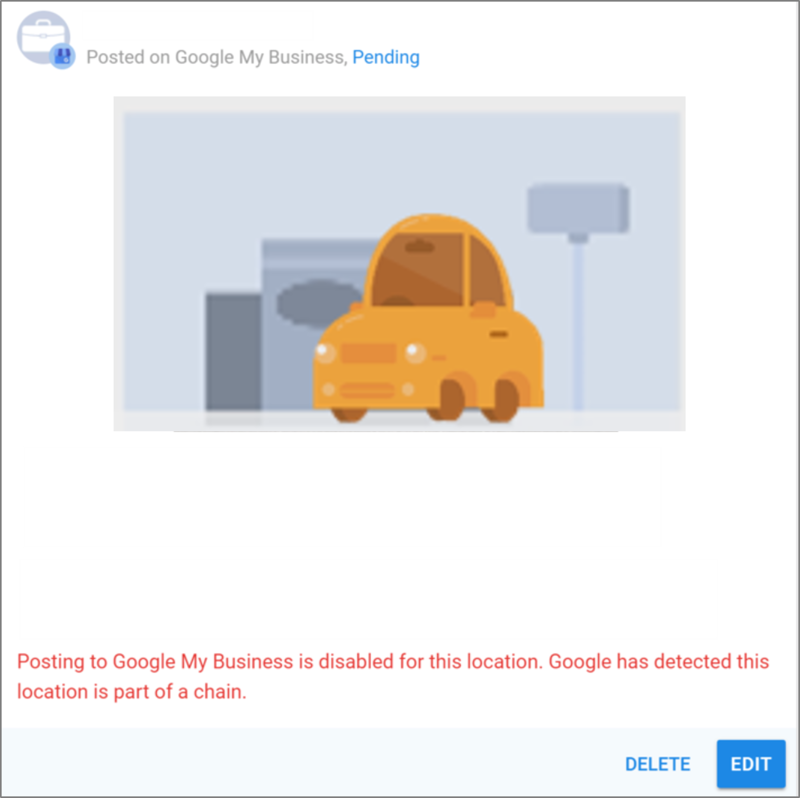 Trying to create a Google Post but the message says it is disabled for my location, and Google detects my location is part of a chain. Upon initial release, the Google Posts feature in the Social Marketing platform is available only to those business locations that Google does not categorize as a brand/chain. However, individual franchise/store owners can continue to use their Google My Business interface to post to individual locations. Instructions can be found here. We expect that as Google continues to roll out and expand on this new innovation, we will be able to bring this functionality into the Social Marketing platform.